On a dark, snowy Christmas Eve, a young man hurrying home for a family celebration enters a chandler's shop to buy a candle for his lantern. He scoffs at the beautifully sculpted creations of the old chandler and instead purchases a simple, inexpensive Christmas candle that the chandler warns him he may find costly. 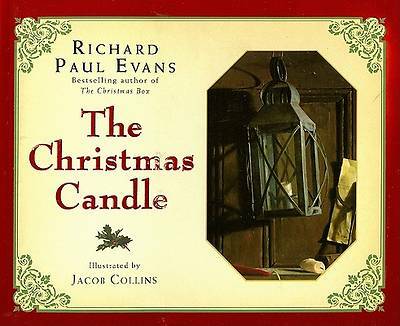 The young man soon realizes that the old man meant, as the poor and ill he encounters on his journey, illuminated by his Christmas candle, become the faces of his relatives, so he feels compelled to help them. he arrives home cold and penniless, but richer for his newfound realization that we are all part of one family. This beautifully illustrated original fable by the acclaimed author of The Christmas Box will become a treasured part of many families' Christmases for years to come.